Ross & Cromarty Roots | Badcaul, Durnamuck & Badluarach, Lt. Loch Broom. Badcaul, Durnamuck & Badluarach, Lt. Loch Broom. Together with Camusnagaul and Badbea, these communities on the SW side of Little Loch Broom, tend to be served by the burial ground at Gruinard. 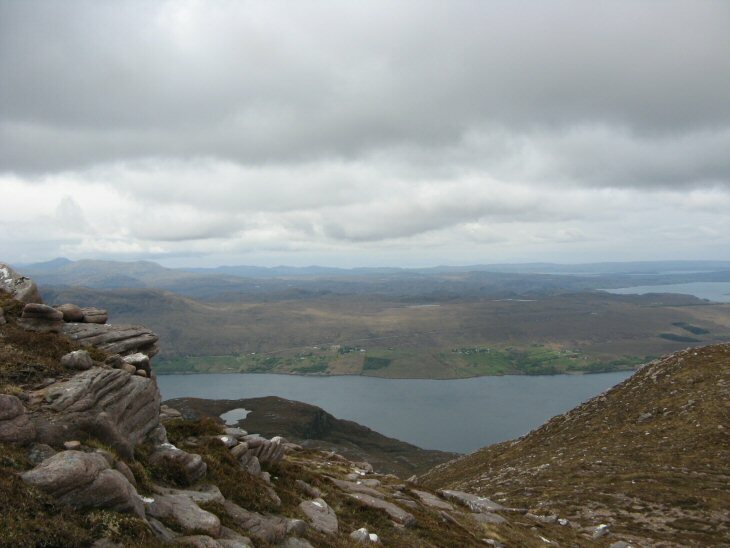 [view from Beinn Ghobhlach, Scoraig]. Picture Added on 29 May 2010.